Setting up Glassfish for our Web Service based PDF converter was a relatively straight-forward job, but there are some nuances to be aware of. 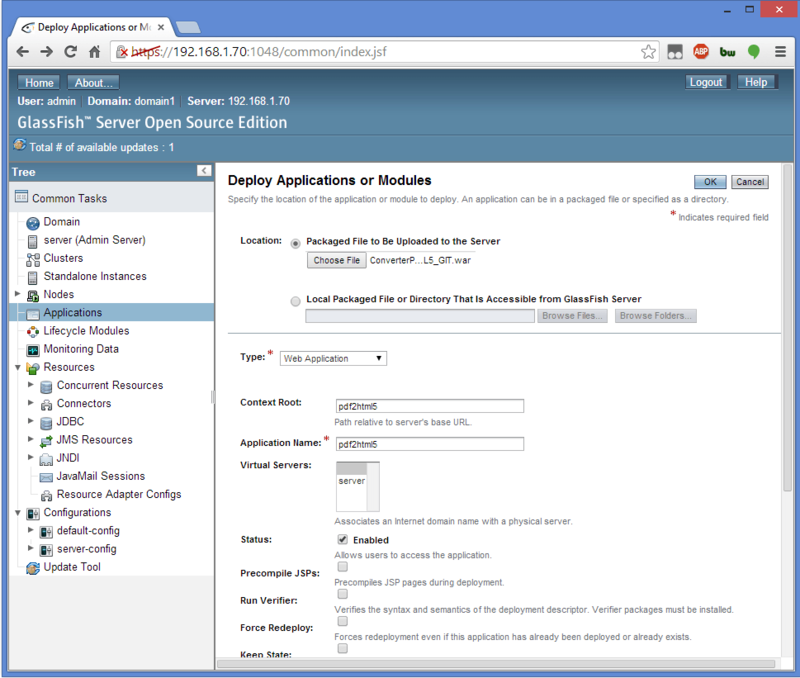 In this article I will take you through the steps I took to set up Glassfish and deploy an application with it. I’ll be using Ubuntu Server 12.04.4 setup on a local virtual machine, but I’ve also used the same methods on CentOS servers so it’s fair to say this will work in most major distributions of Linux. To download the most recent JDK from Oracle you can’t simply use wget to fetch the jdk directly. My initial idea was to just download the jdk to my desktop and use Secure Copy (scp) to copy it over to my server. The issue with this option is that it isn’t as viable an option on Windows as it is on Linux or Unix, due to the lack of a built in scp function. This will extract the JDK into a new directory (in this case called jdk1.7.0_51). Remember the location of directory, it will be important in the next step. Save the changes and exit your editor. 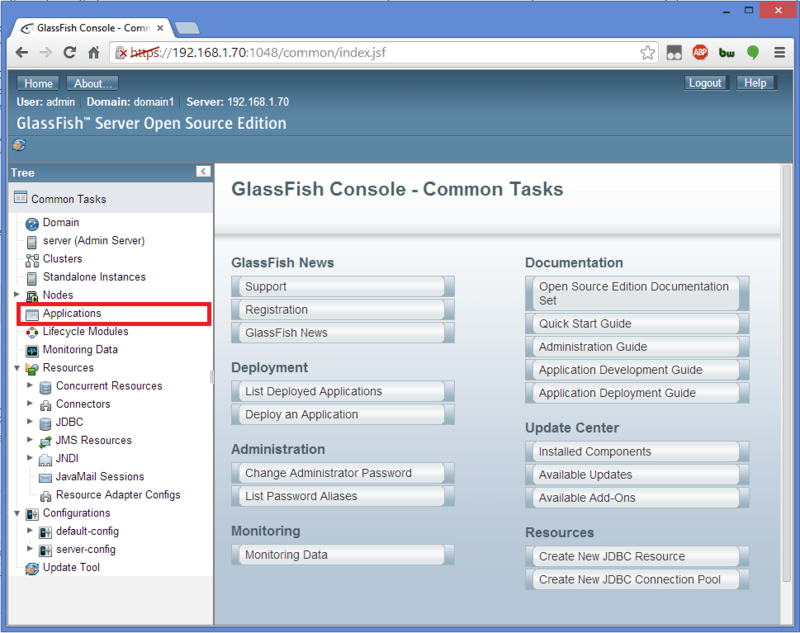 Now the server is up and running, we can deploy our application to glassfish. For the sake of simplicity, I’ll be uploading the compiled war file from our server example, which you can find on Github. We have two options to deploy our application. The first is to use Secure Copy (scp) to copy the application to the server and deploy via command line. 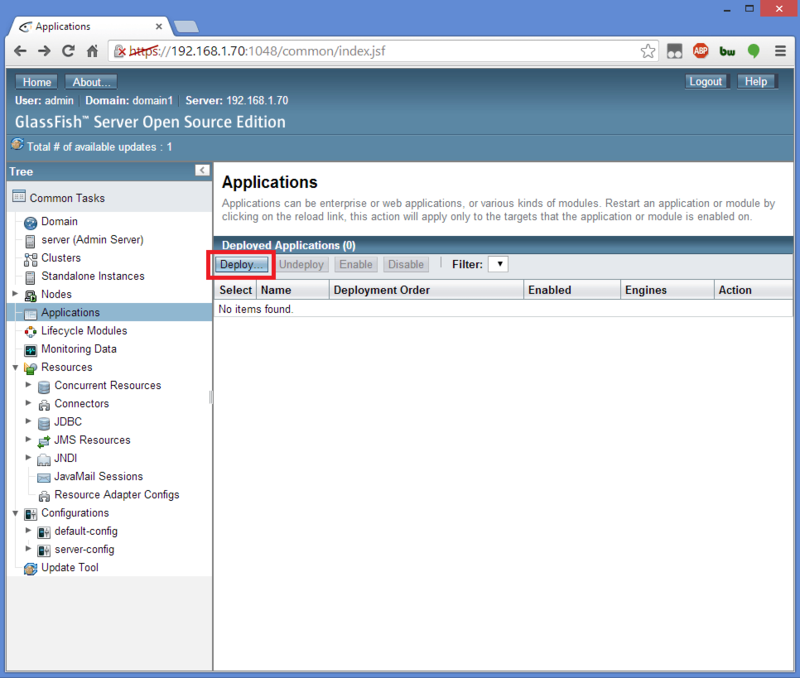 The other is to enable remote admin and upload it via Glassfish’s web interface. Both of these are viable options so I’ll explain both. Note that the port is only 1080 because I’m using port forwarding between my desktop and the virtual machine. Usually it’ll be 8080. You’ll be prompted for the admin user name (which is admin by default), then the current password (which is blank by default so just press enter) finally you’ll be asked to enter your password and confirm it. Now we can access the web interface, go to your server’s address with the admin port on the end (4848 by default) and you should see a login window, enter your admin username and password to log in. From here select “Applications” from the bar on the left. Press the choose file button and select the war file you want to upload, you can also optionally select the context path. Finally press OK and the file will be uploaded and deployed. 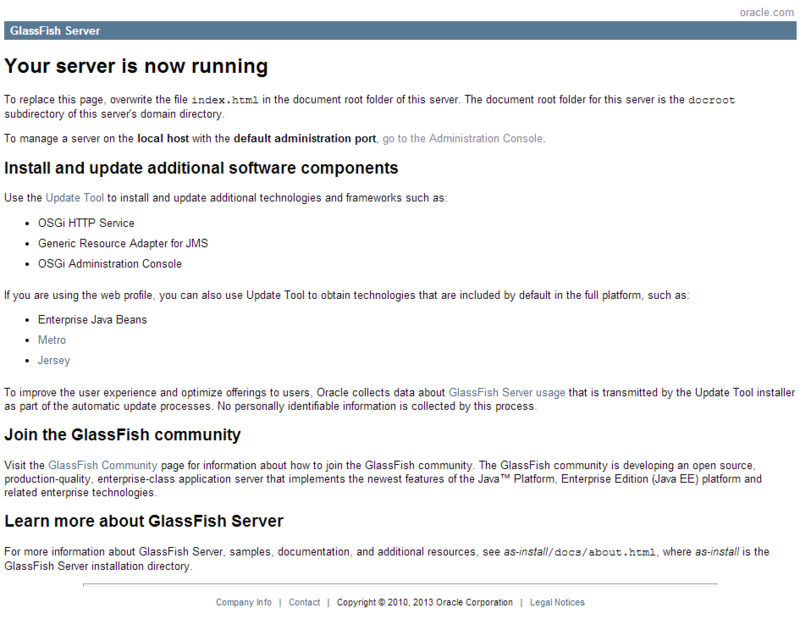 And there you have it, you now have Glassfish set up on your server and your application is good to go.